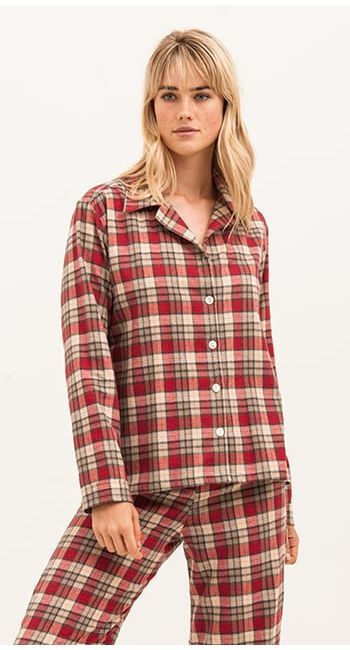 Another addition to our women's plain pyjamas, but this time in a cosy brushed cotton herringbone. Finished with stylish turn ups and real shell buttons. Available in regular and tall leg lengths. Fabric type: Brushed cotton - this is one of our cosiest cottons for those wanting something warmer.